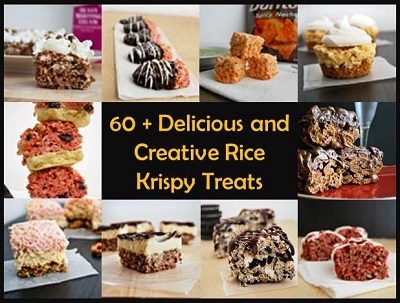 I love anything to do with Rice Krispy Treats and this is a fantastic roundup on 60+ Delicious and Creative Rice Krispy Treats. I really like how easy these treat recipes really are. Have a look through this list and I am sure you will not be disappointed. Easy and delicious, these will soon become some of your all time favorite anytime treats. Mix until fluffy and top the cooled down cake.....Enjoy!! !